On the ground floor of a 1950’s classroom building close to the entrance of a university campus in Nanjing, China, there is a shabby little room with walls covered in children’s drawings and posters teaching them the alphabet. Little hands have used wax crayons and felt tip pens to make scribbly marks all over the walls. A bathroom washbag hangs from a nail pounded into the wall beside the entrance, and a whizzing metal fan screwed head-height swings back and forth doing its best to push humid air around the room. A dark closet glimpsed through the half-open door has a low row of hooks hung with schoolbags and jackets. A second doorway opens onto a small room where a milky window lights a cracked Formica table patterned with the scattered shadows of bamboo leaves over the scumbled surface. The table top is filled with a clutter of things: an electric burner heating a metal pan filled with water, a group of mismatched cups, a tall plastic container of rice, a plastic yogurt pot stuffed with kitchen utensils, and a small stack of colorful but worn out bowls. We knocked at the door and swung it open to find a skinny man sitting on a painted wooden chair with a torn, once-bright plastic floral-patterned cushion seat. He was watching the water and waiting for it to boil, the steam adding to the humidity in the room. The windows were closed. This was the caretaker of the building whose responsibility was to make sure that the corridor floors were polished and the toilets were clean, to sweep the professors’ offices, empty their ashtrays and trashcans, and to watch over and feed their children. He knew the institutional history of this building, remembered when the professors arrived and left, knew who had done what to whom and how they did it, and knew who to fear and who to admire. Once, China’s greatest 20th century figurative painter, Xu Beihong, taught here, long before the caretaker was born. 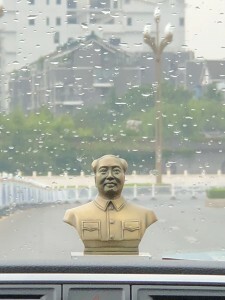 Despite this, the caretaker knew Xu’s story and knew of his importance to Chinese art. Xu trained in France at the École Nationale Supérieure des Beaux-Arts and graduated in 1927. 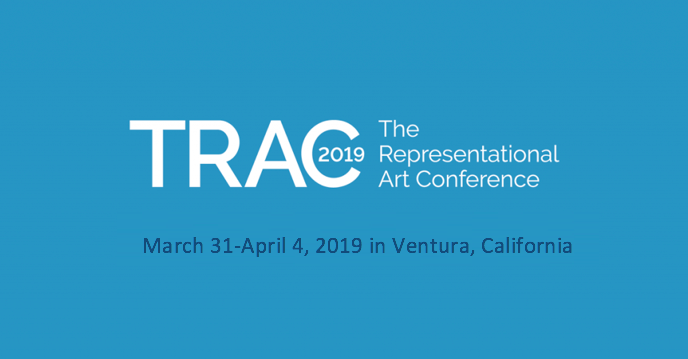 TRAC2019 speaker Aihua Zhou is working to restore the truth about this remarkable man to the history of art, overturning the established and incorrect perceptions of him and his work made by misguided 20th century art historians who wrote with a colonialist’s snobbish view of Chinese art. 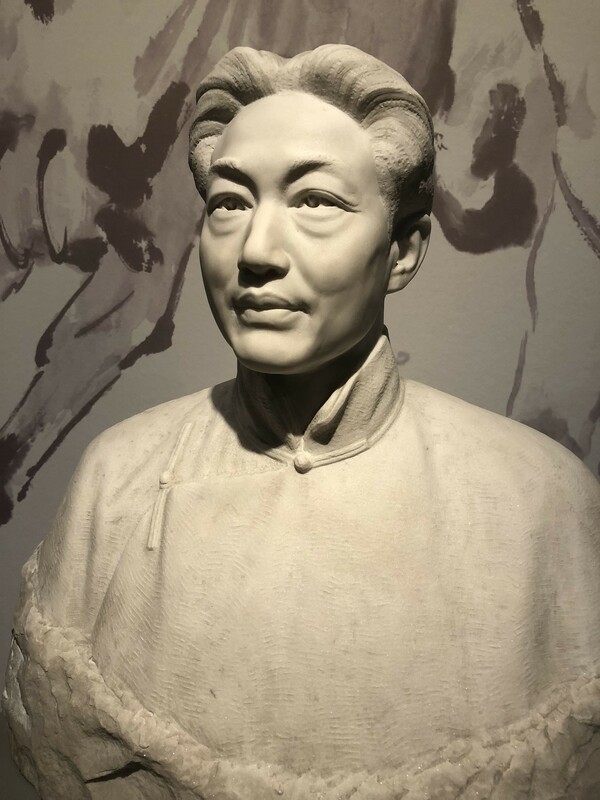 Like a detective, she tracked down Xu Beihong’s collection of casts and went in search of them, wondering if they had survived the cultural revolution, curious to learn if they would provide insight into the life and work of the artist. When Aihua presented the caretaker with a letter from the president of the department and explained that we had traveled ten thousand miles to uncover the traces of Xu Beihong’s life, he looked hard at us, perhaps wondering if she was mad or perhaps wondering if she meant to harm the memory of China’s greatest figurative artist. 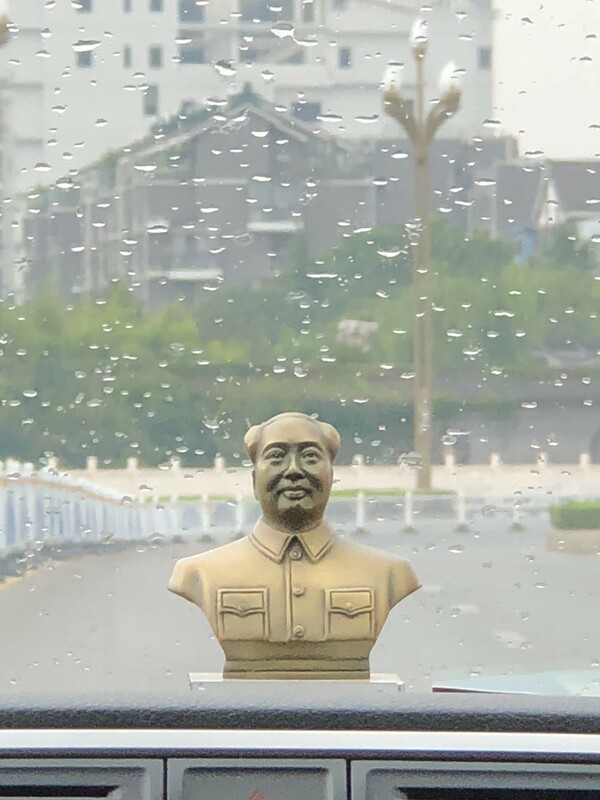 Face matters in China. Some would prefer to die rather than to suffer public embarrassment. Would she bring honor to Xu Beihong, to the university, to the art department, and to him as its lowly representative? But her letter was authoritative, and the caretaker took the water off the burner and stepped past us toward the entrance, reaching up to the washbag and lifting it from its place. It rattled and jangled as he dug for keys. He led us along the corridors and up the concrete stairs to the fourth floor, past classrooms and offices, toilets and closets, until we faced a strong wooden door. He pushed his key into the lock. The door swung open halfway, hitting something wedged behind it. The caretaker gestured for us to go in. Immediately we knew Aihua had found Xu Beihong’s cast collection, for directly before us, blocking the door and caught by the light cutting into the gloomy room through two shabby frosted windows, stood a tall, contorted figure of white plaster struggling to release itself from the shackles binding its wrists. 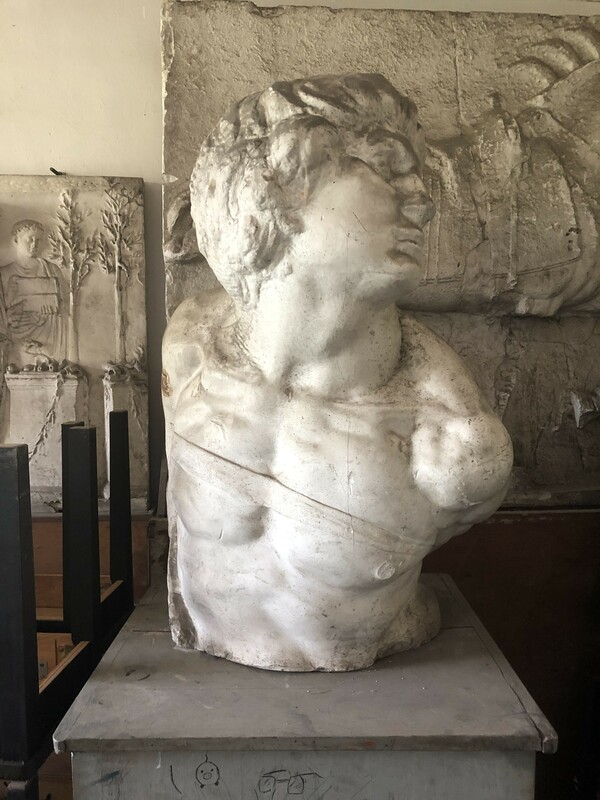 It was a full-size copy of Michelangelo’s Rebellious Slave, shoved among several dusty pianos, stacks of folding tables and tall piles of chairs. Although filthy with the dirt of half a century of neglect, somehow the sculpture was as impressive in its shabby grandeur as it must have been when it was first pulled pristine from the rubber molds. And after the first shock of seeing this magnificent form twisting up above the dark wooden furniture into the light, we saw a dozen more casts rising up from the shadows into the bright light. Carefully, we moved the furniture aside, uncovering a splendid copy of the British Museum’s Discobolus, which was beautifully lit beside the window, an impressive Borghese Gladiator, Polykleitos’ Doryphoros half-buried under a stack of tall tables, the Venus de Milo, six panels of the Parthenon frieze, Michelangelo’s Dying Slave, and three full-sized reproductions of the head of David, all sprinkled with soot-black dust. A hundred years ago, these fragile but heavy casts were unpacked from sturdy crates by Chinese men like the caretaker, who manhandled them onto dollies and brought them to Xu’s studio, where he used them to teach his students the principles of proportion and idealization, as well as classical drawing and painting techniques. The caretaker watched while we photographed the sculptures, sweating in the hot air of the sealed room, remembering our excitement even as we uncovered them, as we literally brought them back to light. Some of these sculptures were already over a thousand years old when they were rediscovered in the Renaissance – their use created reinventions of idealism in those periods of artistic excellence that was quite unlike the original idealism of the Greeks. In the 19th century cast collections were essential tools at the ateliers and great Academies. Students produced finely observed drawings of them, working on simple pieces to understand the structures of hands and feet and heads, and working their way up to making renderings of entire statues, hoping to become so expert at imitation that they would then be able to emulate their predecessors. 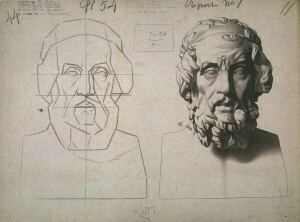 Charles Bargues created a portfolio of drawings of casts so that students who didn’t have access to a cast collection could copy them instead. 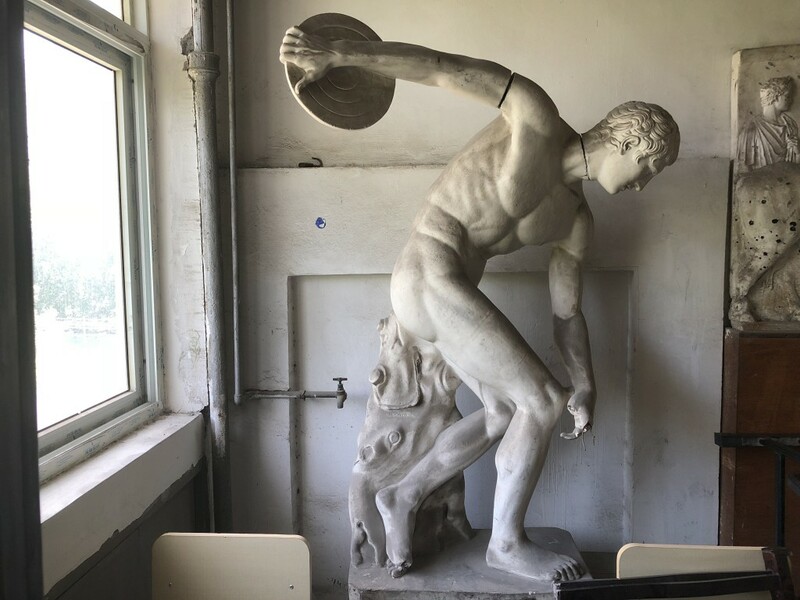 Xu valued the lessons he had learned from drawing directly from the casts so much that he scraped together enough money to buy an impressive collection and ship the heavy sculptures from Italy to Nanjing. He returned to China armed with the technical expertise and the casts he needed to create a hybrid of formal Chinese painting merged with the Western academic tradition. He emulated his teachers from the French Academy by passing on their techniques to a new generation of Chinese students, who applied them to their work. Xu Beihong’s ideas revolutionized Chinese art. When Xu brought his casts to China, he introduced a new kind of idealism, a hybrid of the salon crossed with Chinese tradition. With the new dominance of the avant-garde in post-war America and Europe the great cast collections were destroyed or thrown into storage, and the pedagogy of art schools was transformed by new ideas promulgated by people like Alfred Barnes and John Dewey. So strong was the drive to overthrow the old order and to reinvent art that some American schools are said to have thrown cast-smashing parties, celebrating their iconoclasm with enthusiastic vigor. Other collections were dispersed or put into storage, where they have languished like Xu Beihong’s. Now, new ateliers are flourishing in cities across America, in dozens of newly established art schools led by luminaries like Daniel Graves and Juliette Aristides, who are successfully reviving traditional pedagogies of drawing and painting. They are succeeding brilliantly because their students know the value of a solid training in skill-based art, and know that the skills they learn are not only timeless but necessary for a successful career in making art, whether as a portrait painter or as an animator. Cast drawing has been restored to the studio as a foundation for technical training. Does this signify a return to the ideology of the 19th century salons? Not really, because in the 21st century, in this new era, in this distinct and different period of history, when we draw, paint, and use the knowledge we learn from the sculptures and paintings of the past, we create images of our own time. This is neither a resurrection nor a rebirth, but a fusion of traditional technique with new ideas. Emulation is about imitating our heroes and heroines, but it is also about surpassing them. We are crafting a great new canon based upon solid foundations. The 21st century imagination transforms our work.